So here is the cover for my next book, (thanks Ivan! ), due out at this stage in late July. 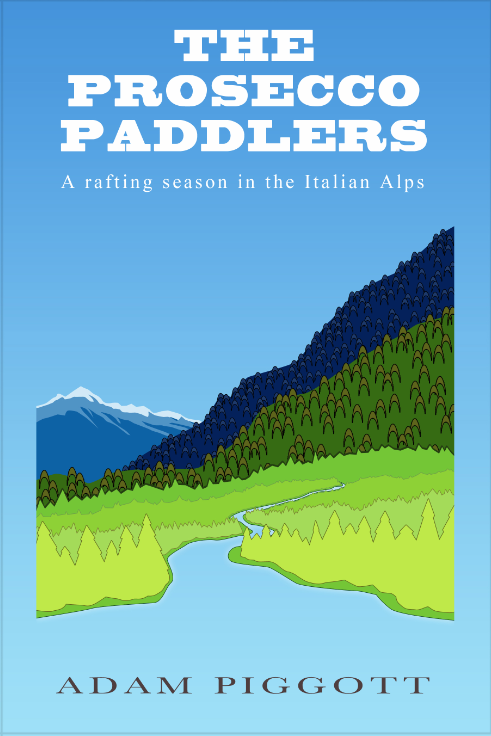 The Prosecco Paddlers is about what happens when you cram seven rafting guides from four different nationalities into two small apartments in a little Italian mountain valley for five months. It’s a lot of fun but it also examines themes of cultural clashes and masculinity. The Italians are certainly unique in how they do things, not least the seemingly simple task of putting a bunch of customers in a rubber raft and sending it down a river. At this late stage I’m just cleaning up the text, and then I’ll pass it to a few trusted souls for proof-reading. More updates to come. Podcast interview on This Alt Right Life.